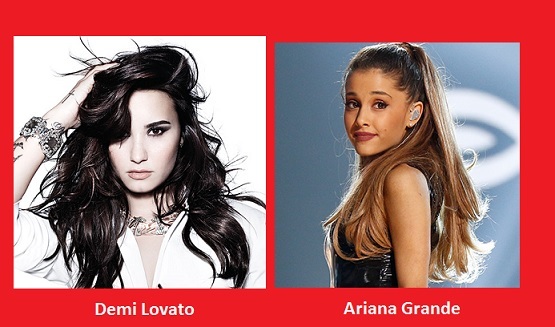 Demi Lovato is replacing Ariana Grande as the headliner for the MLB All-Star concert in Cincinnati this weekend on July 11th. On Tuesday, Ariana Grande shocked fans by pulling out of the concert at the last minute. Grande cited health issues for the reason and on her Twitter page she revealed she had 3 wisdom teeth pulled. The news shocked everyone, especially those in Cincinnati who rushed online a few weeks back to get their free tickets to see the Pop star (tickets were gone in 5 minutes). Many speculated that the starlet pulled out because of the recent events on July 4th during a Hip-Hop concert which was part of the Summer Series Concert on Fountain Square where teens not only became disorderly, they attacked 2 Police Officers with firecrackers and a Man was attacked by a group of teens. The All-Star concert promoters scrambled to find a replacement headliner that would satisfy music goers and the fans expecting to see Ariana Grande. It has been confirmed that former Disney star/singer Demi Lovato has signed on to be the opening act. After leaving Disney, Lovato has had an successful solo career and has since become a multi-platinum selling artist. Lovato is sure to bring it this weekend in Cincy. Opening act, English pop band Rixton are still scheduled to perform. The performance change does not impact ticket status and no action needs to be taken by ticket holders. "All concert tickets, including suite tickets, that were distributed a couple weeks ago will still be good for entry and all other details remain the same," said a Paul Brown Stadium spokesperson. If fans purchased a parking ticket and decide not attend, the stadium will offer a refund. Receipts must be mailed to Alex Simmons at PBS. Gates open at 5 p.m. for the 8 p.m. rain or shine show. The remainder of the Summer Series concerts on Fountain Square including this coming Saturday's concert featuring local rapper Cal Scruby have been canceled due to the aftermath of violence from last weekend's concert on the Square. Organizers of the event disclosed this information on Tuesday, as the city leaders prepare for hosting the MLB All-Star events this coming weekend. Due to the disturbance over the weekend on Fountain Square, Mayor Cranley and other city leaders held a press conference to discuss the surge of violence in the city. As far as the Fountain Square disturbance, Police continue to investigate a weekend incident that left two officers and at least one civilian injured late Saturday. Washboard Music Festival — The annual music festival over Father’s Day weekend to celebrate the washboard as a musical instrument is this coming weekend. Arnett Howard kicks off a diverse musical lineup, including Steel City Rovers, The Hobos and more. Other activities include a quilt show, free tours of the Columbus Washboard Company, antique tractor and car shows and more. 5-10 p.m. June 18; noon-11 p.m. June 19-20. Free. 1 E. Main St., Hocking Hills, washboardmusicfestival.com. Sadly the Kinfolks Soul Food Festival date in Dayton, Ohio was cancelled but the date set for Louisville, Kentucky is still on. The line-up is totally different except for Bobby Brown. Monica, Eric Benet, Al B. 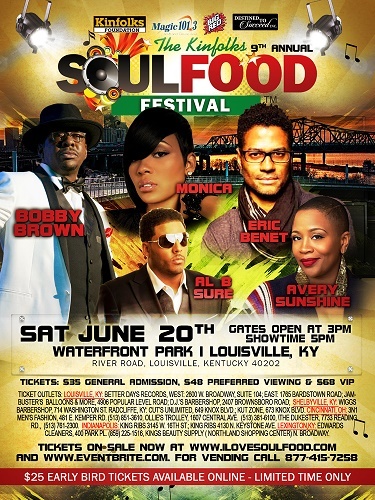 Sure and Avery Sunshine will join Bobby Brown. Old School's 100.3 Jammin' in the Park still has tickets available. The very popular summer event it set to rock the The Shoe at The Horseshoe Casino Cincinnati on June 27th. 2015's line-up includes: Naughty by Nature, S.O.S. Band and the Dazz Band. Tickets went on sale on June 5th but its not too late to grab yours there are still some tickets available. Go to Ticketmaster.com and buy your tickets. Recess at the Stadium was a huge success. 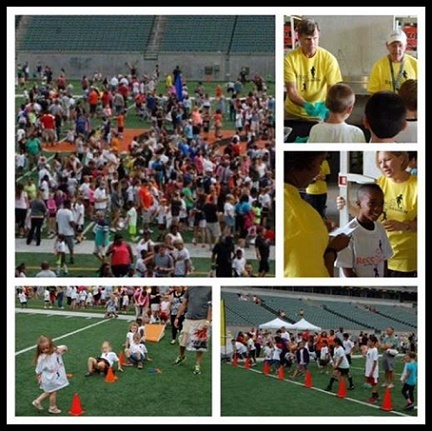 The educational and fun-filled heart-healthy day with aerobic activities, hands-only CPR training and nutritional stations, welcomed 2000 children and 1600 adults to Paul Brown Stadium on Saturday, June 6th for Recess in the Stadium. With the help of the Heart Institute at Cincinnati Children’s, the Cincinnati Bengals and the American Heart Association(AHA) for their sponsorship of Recess in the Stadium, the Saturday morning event helped thousands if children learn how to get healthy and have fun. 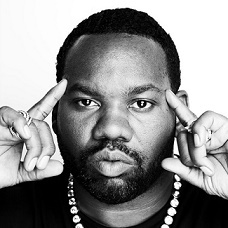 Hip-Hop star Raekwon is coming to Bogarts for a one night concert. The rapper is part of the SiriusXM presents Raekwon & Ghostface Killah on July 15th. Raekwon and Ghostface Killah have been members of the legendary Hip-Hop group, Wu-Tang Klan since 1992 but both also have gone on to have successful solo careers. 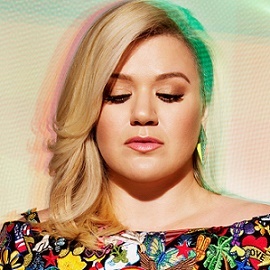 Kelly Clarkson is coming to Cincinnati. The 1st American Idol winner who has gone on to become one of Pop music's biggest stars of today is bringing her tour to Riverbend. This is certainly one concert you don't want to miss. Clarkson has had multiple chart topping hits and won an array of awards. The singer recently released her 7th studio album, Piece by Piece which has already received great reviews. Pop sensation, Ariana Grande is set to headline the Budweiser MLB All-Star Game Concert on July 11 at Paul Brown Stadium in Cincinnati,Ohio. Special musical guest is Rixton.